An Interview with Poet Roberto F. Santiago. 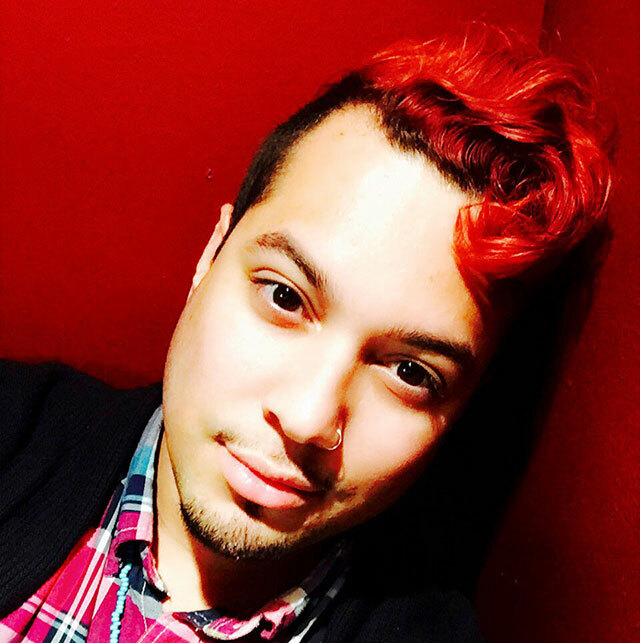 Roberto F. Santiago, an English Kills Review contributor, is a 2014 Lamda Literary fellow and a recipient of the 2011 Alfred C. Carey Poetry Prize. His debut poetry collection, Angel Park, came out this April. Congratulations on your debut poetry collection! I had such a great time reading it. The moment I finished, I started writing love poems and food poems (your work made me pretty hungry), and I just kept going back to your lines. I wanted to stay in the world of Angel Park for as long as possible. Thank you so very much! That is high praise. I didn’t fully realize my words had the power to make people hungry. I thought they only worked on me. Y’know, it wouldn’t be the first on my list of desired superpowers…but I’ll take it! Now that the book has been out for a couple of weeks, and more readers are entering this world, how have you felt? In your EKR essay, you mentioned you were scared. Still scared? Are you kidding me? I am even more scared! Don’t get me wrong, I love that people have taken an interest in my work, and even more so, want to take the time to read my words… but it is exhilaratingly frightening when more people have access to such a defining part of yourself…AND I won’t be in the room to defend my comma placement and obsessions with language and borders…and apparently food and love. So what’s the biggest surprise you’ve encountered throughout the process of publication and after its release? Hmmm…It feels really weird to think that I spent so many years collecting these lines and images, assembling them into stories, people, emotions… a book that makes me so happy and proud, but there is a literal price tag on it. At $13-a-pop, there are slow, tipped over jar of molasses feelings that make me a little sad that my words are for sale….like they’re no longer pure and honest… but that is the goal, no? You write. You put those works out into the universe. Sometimes you get compensated for it. I guess that is my biggest surprise, the weird empty feeling you get when you have to do a little shimmy-shake to prove that your work is worth money. I spent so much time getting to the glossy book finish line and was silly enough to think that would be the end of something. To then realize it is really the start. Wait, better than all that…the biggest surprise is when you see someone with your open book close to their face. That feeling is so embarrassingly awesome. I wanna hug everyone that opens Angel Park! I hope that NEVER ends. I hope such hugs and embarrassment never ends either! Can you tell us a bit more about collecting those lines and images that got you to that point? Give us the origin story of that glossy book, please. I began the journey to Angel Park in my undergraduate poetry workshops at Sarah Lawrence College. Most of the poems that began there would probably be unrecognizable, but that is where I really began to think that poetry was not just a guilty pleasure. My MFA years at Rutgers is where I was much more focused on turning the poems I had batting around in my head into text. My MFA time was great for focusing on the end product, specifically in the second year. I was writing like it was my job, because it pretty much was and it felt so great to have that opportunity. Working full-time now and writing really affirms how much of a luxury my MFA time was. As far as revision, I really began the process of creating the world of Angel Park in my last semester of the MFA and beyond. That is when I started to shape Angel Park into a map. I revised a great deal into and out of this book late at nights with pages spread across the living room floor. Since so much of my writing is focused on sound, I would perform each piece aloud to ensure the voices in my head matched the page. I am sure my neighbors got sick of a few of the lines… oh and sometimes I blasted music and danced on top of the poems when it all felt too ridiculous. Never underestimate the power of a late night manuscript revision party. Other than late night dance parties and serenading neighbors, do you have any more advice for poets putting together their first manuscript? Buy Angel Park! You will find all the answers on page…I don’t wanna ruin the surprise, but it is in there! You will have to pitch your manuscript in different ways to different people, so be ready! Know your audience aka whomever you are submitting. For example: Focus on subject matter for a publisher that is concerned with promoting voices like your own, or style and form for a publisher that prioritizes that. Remember, there is no one more qualified to sell it than you. So practice your pitch whenever that dreaded question, “What do you write?” falls into your lap, Yeah, I know… distilling your life’s work into a few lines is not my idea of a good time either, but until you are a huge Rockstar Poet, you are the only person that can do this for yourself. Lastly, Know your poetic lineage as well as the work of your contemporaries. As Angel Park’s release got closer, I read as many poets as I could that I thought would be placed in the “Customers Who Viewed This Item Also Viewed” category with Angel Park. Plus that gives you something to talk about when you go to AWP (which you should go to, by the way). Speaking of poetic lineage: In your essay for EKR, you mention that you didn’t read authors with last names like yours growing up. Who was the first author you could relate to who got you excited about writing? I would have to say Piri Thomas’ Down These Mean Streets and Reinaldo Arenas’ Before Night Falls swept me off my feet as a reader. These men made me think my voice and experiences were valid. I’ve read both of these texts multiple times and always feel at home in their lines. As a poet, Emanuel Xavier inspired me in the same ways as Arenas and Thomas, but reading Xavier’s work, particularly Americano, stoked that desire to create. To perform. To incite. I am forever grateful to him for that. Both as a person and in his enchanting book, Slow Lightning, Eduardo C. Corral, made me feel like I could do this. Like I had to. Also, he made me jealous I didn’t write it. Jealousy is one helluva motivator; see the history of the world. Once motivated, obsessed, and pitch-ready, how did Angel Park find its home at Lethe Press? I read at a whole slew of venues in NYC before my stint at the Rutgers-MFA that allowed me to network a great deal with poets, hosts, men in pig costumes on roof tops (true story), and drunk writers… so eventually some people gave me suggestions of where to send my manuscript. I kept all of those recommendations in mind, and when I was finally ready, I submitted detailed manuscript inquiries to publishers. These inquiries were basically cover letters that outlined how Angel Park would be an awesome addition to the titles they currently offered, what made it special along with a sampling of the manuscript. This goes along with my earlier advice of knowing your work, your audience, and over all pimpification of your manuscript. #practicewhatyoupreach. Do I want to ask a follow up about that pig costume? No. Yes. Wait. No. In your EKR essay, you noted that your MFA gave you the opportunity to discuss your writing with others who loved it, comparing it to the joy of discussing Orange is the New Black with coworkers, (great simile by the way). Post MFA, have you found your #OITNB, water-cooler group for poetry? Yes and no, I haven’t really been able to replicate that cohort, but that is not a terrible thing. That time was special. I have stayed in contact with some of my favorite MFA pals, but we are all over the country and world, so it is not the same. Post-MFA, I have met some awesome writers that have welcomed me into their hearts and homes, and I am ever grateful for that. I am still looking to do a literary bar crawl-workshop hybrid, so if there are any Bay Area folks that wanna get all poetic and loud whilst eating grilled cheese and bacon sandwiches, hit me up! I so wish I could crawl and bacon and poet with you there! (Hit him up, readers!) But I will settle (for now) for this: your collection references music or aspects of pop culture quite a bit—hence the dance parties. What’s your current TV obsession and what’s the last song you listened to on Spotify? Last song I listened to…I will do you better than one song. Here is a playlist Angel Park! Last question, are you for or against the Oxford comma? Readers are dying to know. FOR! I don’t always practice what I preach re: the Oxford Comma in poetry, but I definitely am pro-OX in all other writing. Oxford, Harvard, and Serial. #BringEMon.